What would scare us all? 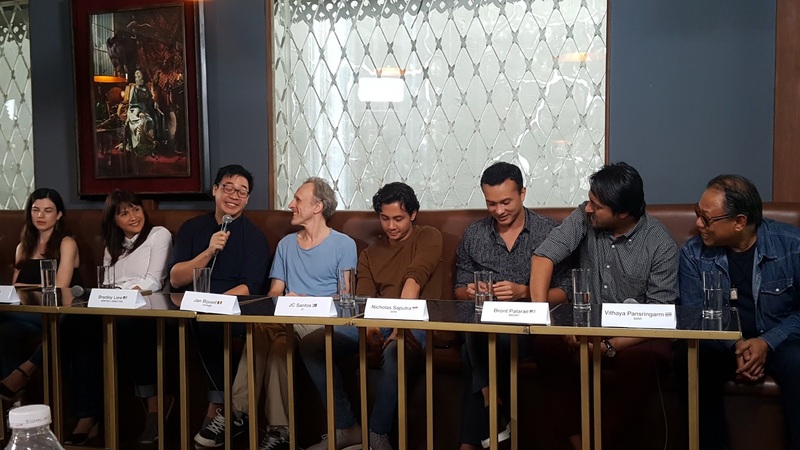 We had a long conversation about the love for horror films with the international cast of BlacksheepPH and Epic Media's first venture "Motel Acacia" on its story conference held last Tuesday at Delgado's Quezon City. 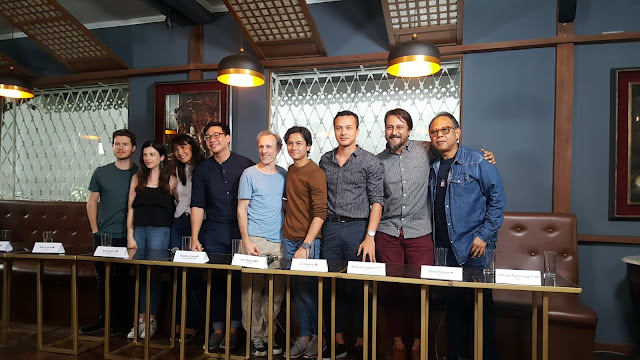 Starring JC Ssntos and Agot Isidro, Motel Acacia will feature a horror film about a creature that lurks in Motel Acacia eating men and impregnating women. Belgian actor and composer Jan Bijvoet joined playing the father of JC, Australian actors Will James and Talia Zucker, Indonesian famous actor Nicholas Saputra and Bront Palarae, and Thai's Vithaya Pansingram joined producer from Singapore Bradley Liew to shoot the horror film in Slovenia and Manila.